Welcome to the latest edition of Muscle Car Milestones. This is the place to find out about muscle cars you probably never paid attention to or have never even heard about. We’ll look at rare, limited edition, and even a few unique autos that have significance in the muscle car world. Anything is fair game and rules and limitations are not welcome here. This edition of the Muscle Car Milestones highlights the 1965 Plymouth Sport Fury. This is a car we had the pleasure of owning at one time. It was owned by family from the mid-1960s until the early 1970s. With its 383 Commando engine under the hood, the car had no trouble moving down the Mississippi highways and back roads. The Sport Fury was a stylish, yet practical, muscle car. The best of both worlds for the adult who wasn’t ready to quite grow up anytime soon. 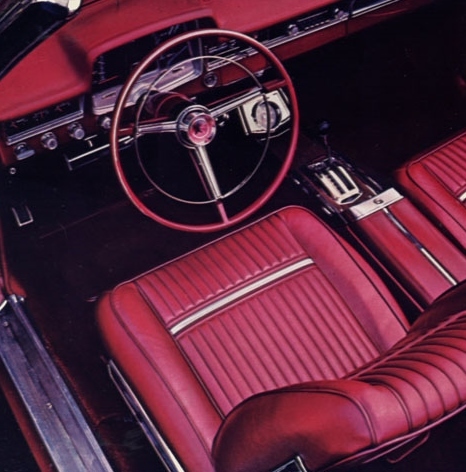 In 1965, the Chrysler Corporation had begun to learn from its past mistakes. Public response to the styling of the 1962–1964 model years had been lukewarm at best. Downsizing was not the way to go and sales were lost to crosstown rivals Ford and General Motors. It was high time for a makeover. Part of the transformation at Chrysler included a new chief stylist. Elwood Engel, who had previously worked for Ford as a designer, had his work cut out for him. One of his first duties was redesigning the Plymouth Fury. For 1965, the Fury lineup was broken down into I, II, III, and Sport Fury trims. The snazzy Sport Fury had an array of interior and exterior amenities similar to its Ford and General Motors counterparts. The Sport Fury also came standard with a V8 and several optional V8 engines were available. The Sport Fury’s styling, with its long, straight body, vertically stacked headlamps, and segmented taillights reflect many of the styling changes made to the Fury lineup for 1965. The Sport Fury came standard with a long list of exterior features. Custom wheel covers with spinners grace the front and rear wheels. Rear fender skirts add a somewhat regal and upscale look to car. The car is awash with brightwork. Walk around the car and you’ll see the polished chrome bumpers and mirrors along with glossy aluminum trim gracing the grille, doors, and windows. A new feature for 1965 is curved side glass which blends nicely with the surface lines of the sheet metal. For those wanting an extra touch of sportiness, the Sport Fury can also be ordered as a convertible. As stylish as this car is on the outside, the Sport Fury truly shines once you check out the interior. Plymouth gave the Sport Fury a long list of standard equipment. Climb inside and have a seat in the rippled bucket seats. Turn the key and watch the gauges to your left come to life. Grab hold of the deluxe steering wheel with full horn ring and put the car in gear. You’re now ready to cruise the boulevard or hit the open highway. As you drive around, you notice how features such as the lockable center console, shifter, and dashboard controls are within easy reach. Buyers that wanted some additional flair had a long list of options to choose. A console mounted tachometer, AM/FM radio, and Auto-Pilot cruise control are a few amenities that could be checked off on the option sheet. Even power windows and seats were available. This is definitely a muscle car with flair. 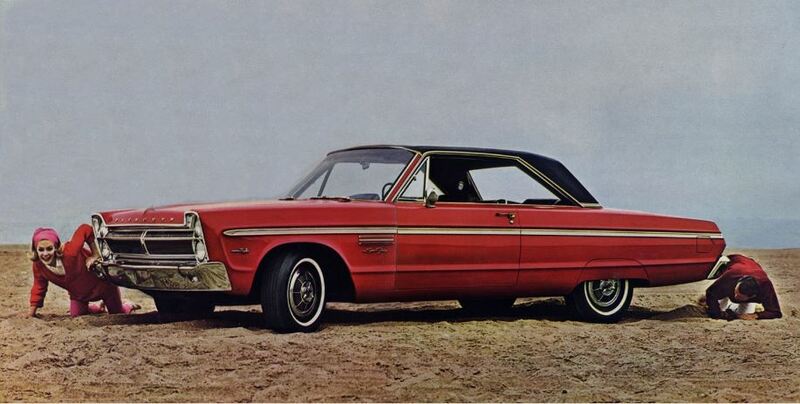 The 1965 Plymouth Sport Fury came standard with a 318 cubic-inch V8 and a 3-speed manual transmission. For drivers wanting additional performance, a Commando 383 or Commando 426 were available. Horsepower for these Commando engines ranged from 270 to 365 horsepower. In the August 1965 issue, Motor Trend magazine tested a Sport Fury equipped with the 426 Commando and TorqueFlite 3-speed automatic. Acceleration from 0-60 took 8.2 seconds and the time to run the quarter mile was 16.1 seconds. So, how does this compare to its counterparts over at Pontiac? Motor Trend also tested the 1965 Pontiac GTO with the base 389 cubic-inch engine and two-speed automatic. The GTO beat the Sport Fury from 0-60 by a second but tied the Plymouth with a 16.1 second run sprint in the quarter mile. 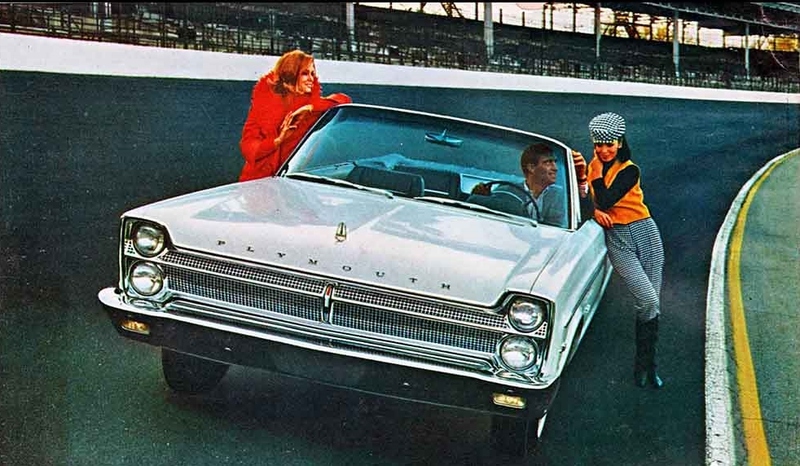 The 1965 Plymouth Sport Fury convertible was chosen as the official pace car for the 1965 Indianapolis 500. 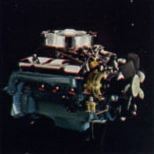 This was the first time a Plymouth had been chosen to pace the race. The car was painted white and featured pace car lettering on the sides. An official pace car plaque was also placed on the dashboard. Power for the pace car was supplied by the 330 horsepower 383 Commando V8. The 1965 Sport Fury brought back the styling and finesse that was missing in previous years. Plymouth was back in a big way and the Sport Fury was proof positive of the great cars coming from Chrysler in the mid-1960s. The Plymouth brand may be history but its legacy lives on in the Sport Fury.